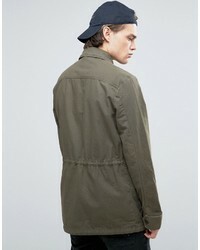 If you're hunting for a casual yet on-trend outfit, team an Asos military jacket with drawstring in khaki from Asos with navy chinos. Both items are totally comfortable and will look great together. If you're searching for a casual yet stylish getup, make an Asos military jacket with drawstring in khaki and navy jeans your outfit choice. Both pieces are totally comfortable and will look great paired together. Grab a pair of white leather low top sneakers to make the look current. 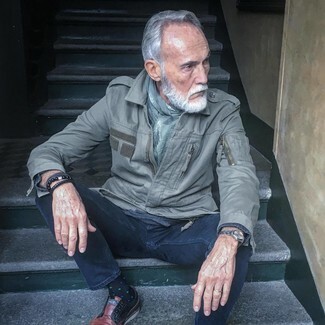 This combination of an Asos Military Jacket With Drawstring In Khaki and navy skinny jeans is hard proof that a safe off-duty outfit doesn't have to be boring. And if you need to immediately dress up your ensemble with a pair of shoes, why not complete your outfit with brown leather derby shoes? 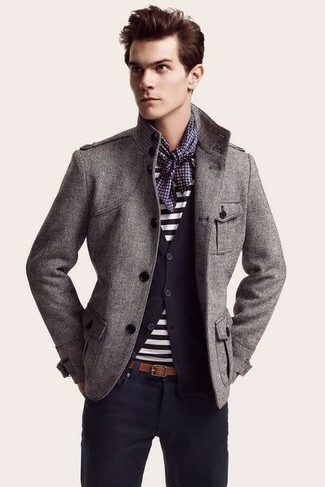 If you're searching for a casual yet dapper look, consider wearing a grey military jacket and grey skinny jeans. Both pieces are totally comfortable and will look great paired together. 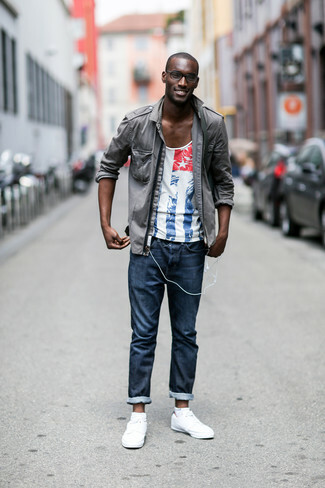 Look at how well this getup is finished off with grey low top sneakers. 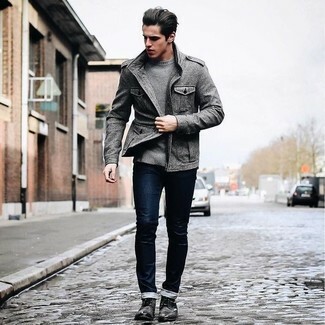 If you're in search of a casual yet sharp getup, pair a grey military jacket with navy skinny jeans. Both garments are totally comfortable and will look great together. Black leather derby shoes will add elegance to an otherwise simple getup. 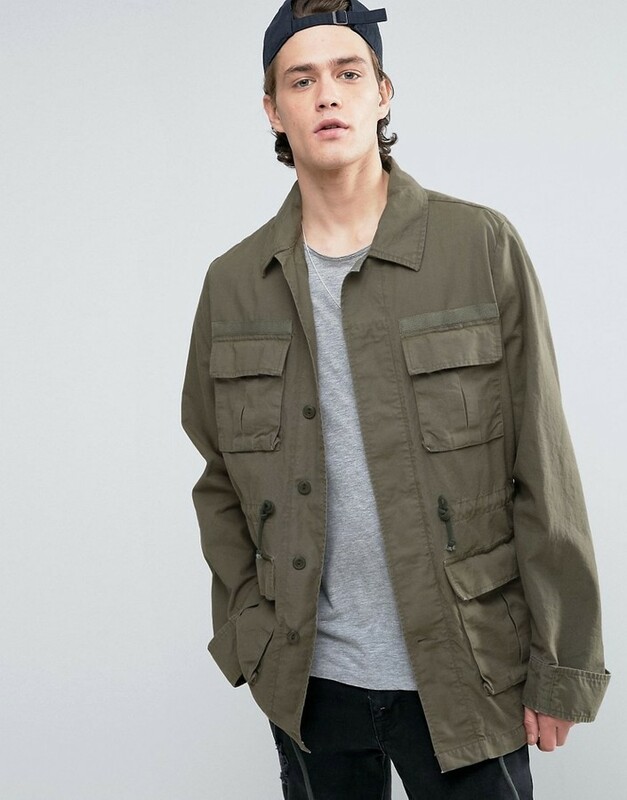 If you're in search of a casual yet on-trend ensemble, wear an Asos military jacket with drawstring in khaki from Asos with khaki chinos. Both items are totally comfortable and will look great together. 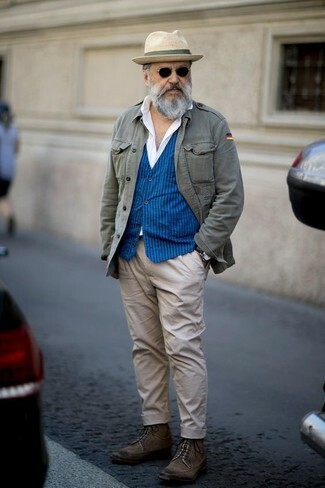 Finish off this outfit with red leather brogues. 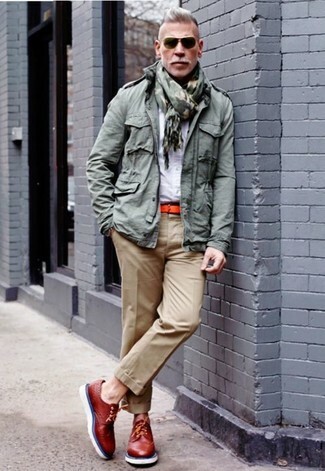 If you're looking for a casual yet dapper ensemble, try teaming an Asos military jacket with drawstring in khaki with navy chinos. Both items are totally comfortable and will look great paired together. 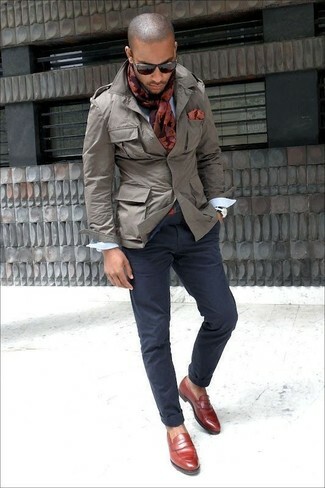 When it comes to footwear, this ensemble is complemented wonderfully with burgundy leather loafers. 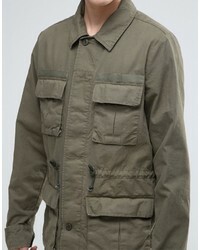 If you're hunting for a casual yet sharp outfit, wear an Asos military jacket with drawstring in khaki from Asos with beige chinos. Both garments are totally comfortable and will look great together. When it comes to footwear, this ensemble is finished off wonderfully with dark brown leather casual boots.